A travelling fool is better than a sitting wise man. Walking is better than sitting by the fire. 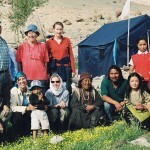 The people of Ladakh can survive only with the help of the water from glacial streams. Ladakh is a high altitude desert with barely enough rainfall to support the idea of vegetation, with the landscape going from faint green to rocky dust just a few meters away from its icy streams and rivers. So of course the people had to think of something, and built kilometers of irrigation canals that lead the glacial streams to their villages and fields. Who, when and how much water they may lead to their fields is strictly regulated. People also drink the water primarily and directly from the streams. In winter, when the rivers carry little water or dry up entirely, they often have to endure long walks to bring drinking water from a spring or a non-dried-up torrent. 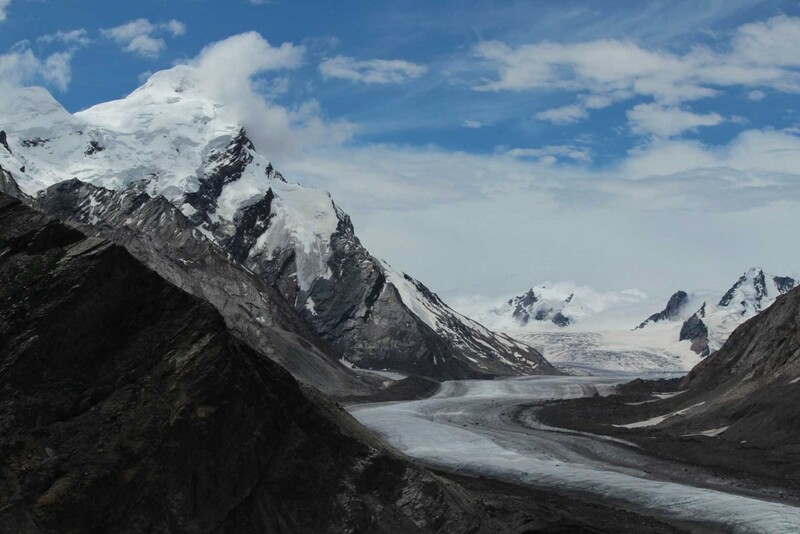 However, due to global warming, glaciers are melting at an alarming rate, and therefore issues like water pollution and increased water consumption during the summer months are a big source of worries in Leh (the only big city in the country!). Consequently, water treatment and storage is one of the main agendas for the future. A brilliant example of forward thinking is the ice-Stupa project: artificial glaciers that provide an alternative water source. When I see how water is actually wasted in Austria and other water-rich countries (for example on excessive car washes, etc. 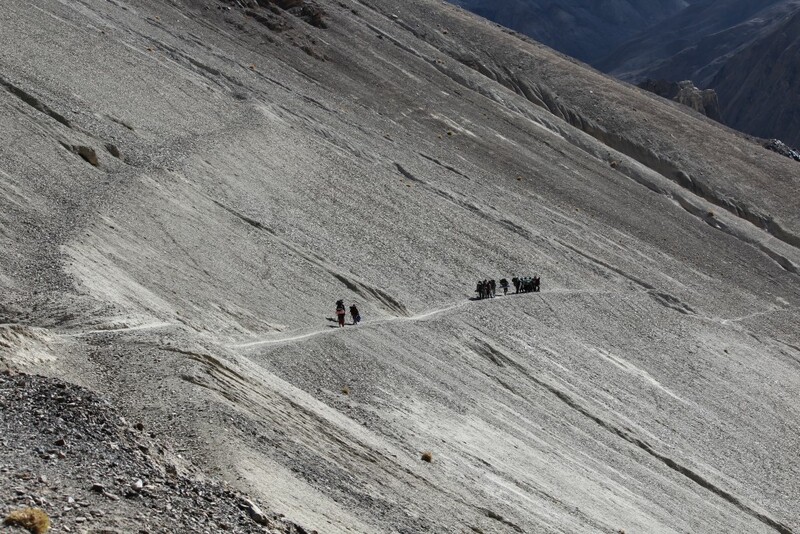 ), I can’t help but think about arid Ladakh and consider again just how important water really is. Is there a greater good on earth? We are not being simply whimsical when we ask our guests to please use water carefully in their host country! 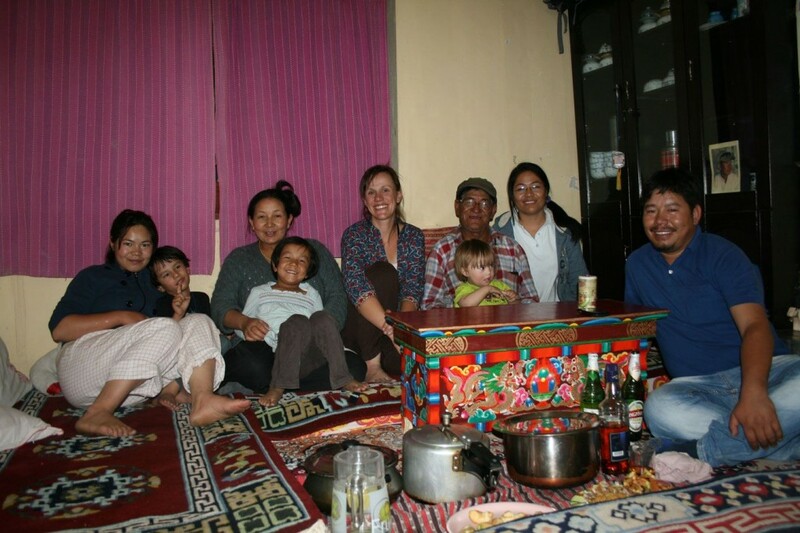 Personally, the most impressive lesson that I learned from Ladakh is that it is not the individual that matters the most, but the community, or the family. It’s quite a lesson for people from the egotistical West, which value themselves over all other things. ME and MY instead of WE and OUR. 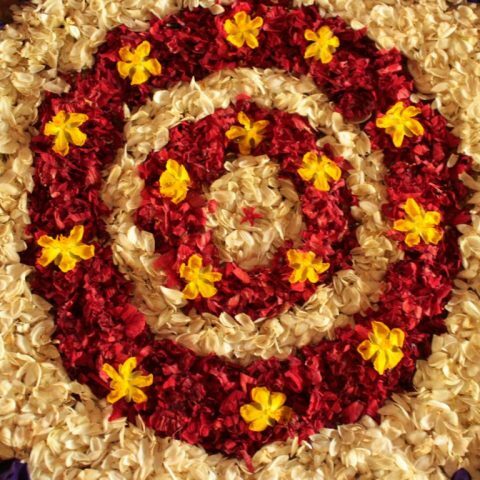 The self has all the freedom in the world and can pursue any and every dream. I just do what pleases ME and enjoy MY life. It is nice, no doubt, but what if things are not going well for ME? Who is then there to help? Many people are so focused on themselves that it becomes almost impossible to share their lives and experiences with others. In Ladakh, the ego plays no big role – a person’s actions are (almost) always adapted to their family. Certainly, this means that sometimes one has less freedoms (arranged marriages, studies and careers chosen by parents according to needs instead of interests, etc), but in Ladakh hardly anyone complains about this state of affairs. People are not there for themselves, but for each other. And that’s beautiful. What do I enjoy the most when I come to Ladakh? That there is always somebody ready to help you – when cooking or taking care of the children, when keeping the house clean or when one is ill in bed… there is always someone by your side. 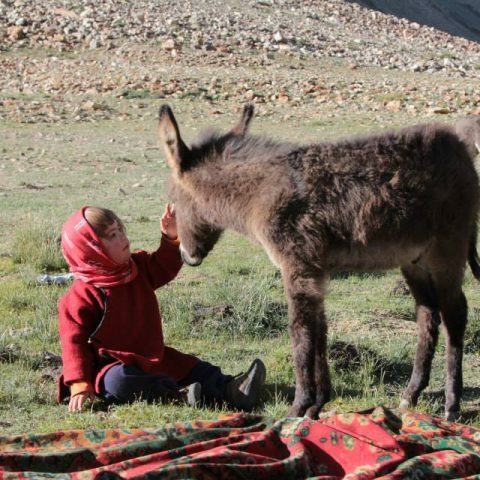 In Ladakh, one must learn to live with the little that the earth gives. A tree, for example, needs many more years to grow here than what is normal at lower altitudes. For this reason alone, trees are much valued and a great contribution to the wealth of a family. Although life has become easier thanks to the road and the connection to Srinagar and Manali, it has not changed that much, especially during winter. Winters are long, and you have to be satisfied with few food items only: all that could be dried in the summer or has a long storage life. And if you visit the people in the countryside, you will be amazed by how little one can have and still be happy. It is possible to enjoy life even without running water, 24-hour power supply and exotic, always-ripe fruits from other continents! We are only guests in this world, and we should behave accordingly. 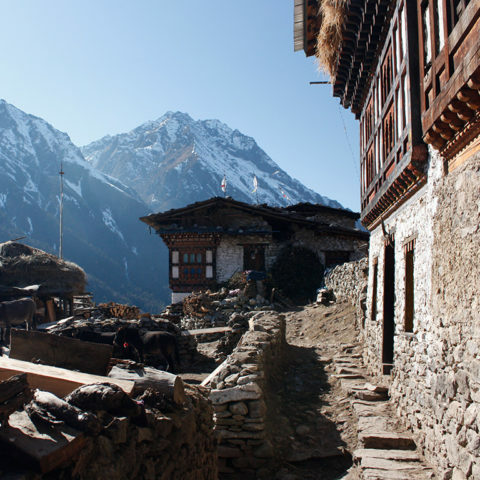 Life in the Himalayas also helps us realize that we are nothing against the forces of nature. Whoever travels on foot through Ladakh and/or speaks with the local farmers and herdsmen will soon understand that the only way to live here is by accepting nature’s will, not opposing it. One has to give in and follow the rules of Mother Earth, live with them and not against them. Otherwise you are doomed to lose. Always calm. 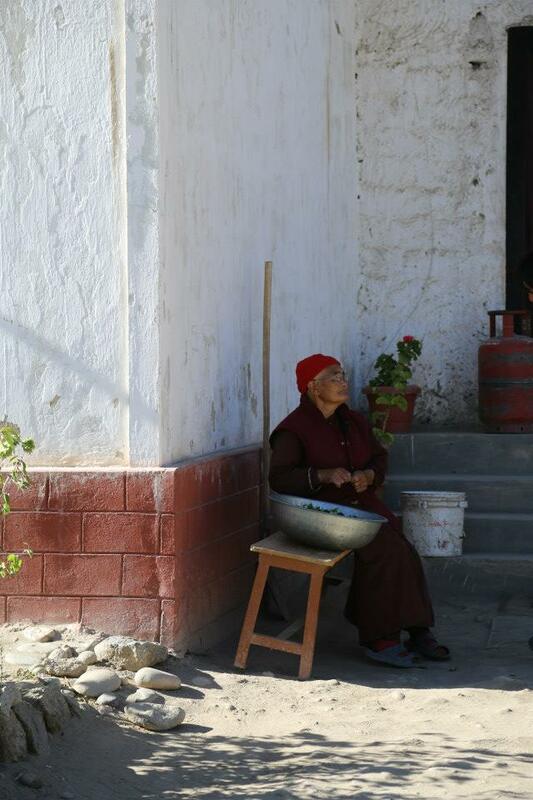 Patience is a virtue, and in Ladakh, it is a very common one. Patience! What a lesson! In my first years in Ladakh, I often found myself despairing. Why do we always have to wait so long! Why do people take so much time to do things, when there are faster and more efficient ways to do it! For me in particular, who has always been used to do things fast, and usually focus on two or three tasks simultaneously, this was a hard lesson to learn. Most Ladakhi do their things in peace and enjoy doing so. Cooking in a hurry and with the sole purpose of stuffing our mouths and stomachs is unimaginable. We will cook together, with a lot of gossip and fun. The peas are meticulously peeled one by one, the dough is kneaded over and over again, the onions very carefully chopped… Two or three hours just for dinner preparation is not something special, but an everyday occurrence! Oh but the taste! Such a slow and loving flow seems to imbue the food with a lot of positive energy. Now, just because the people of Ladakh are patient and do things quietly, it does not mean that our guides are unpunctual or irresponsible. They will serenely but securely lead the way and, hopefully, their calm confidence will infect you a little bit. 😉 They will tire our bodies and lift our spirits! By the way, I don’t want to give a false impression: I still have a lot to learn, especially in the lessons regarding patience and management of the ego. For that I still need a few more years in Ladakh 😉 And for that I’m grateful.